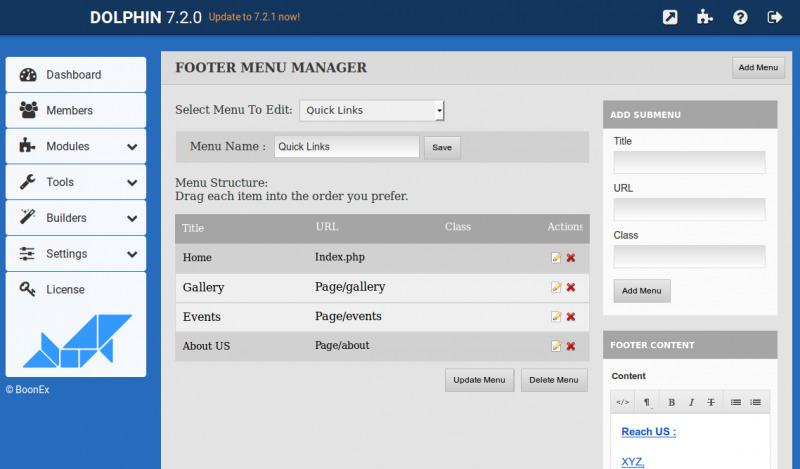 Footers are a great way to organize a lot of site navigation and information at the end of a page. 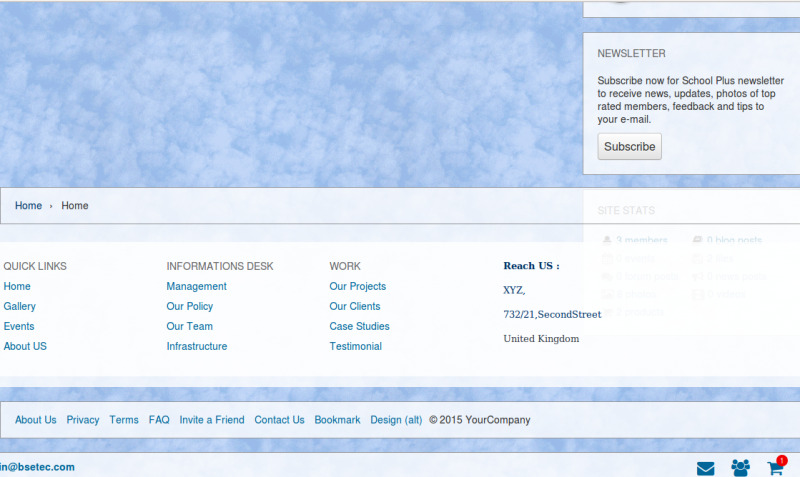 This is where the user will look for additional information about your website. 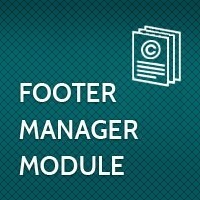 Here is our Footer Manager modules, which help to fulfill the needs like adding html code, menus and submenus in frond end footer. 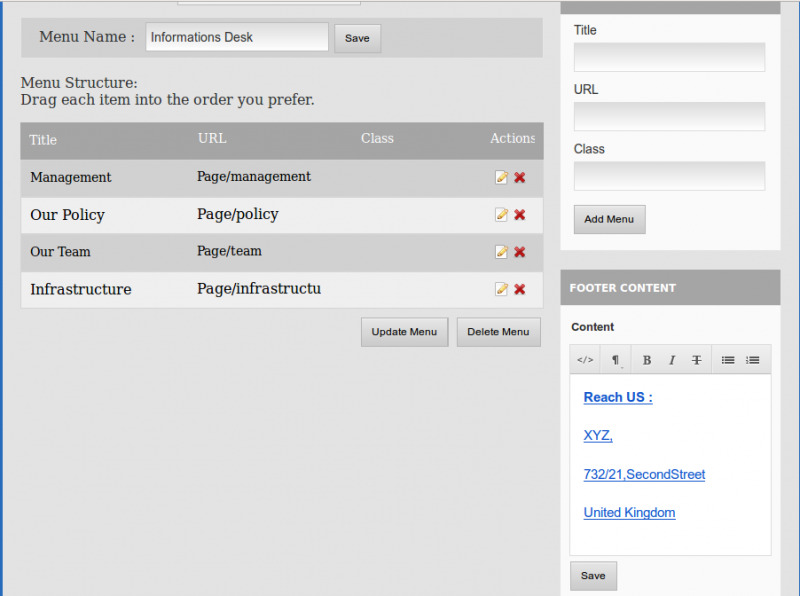 Supports Multiblock - Each block has one Main Menu and Multiple Submenus. 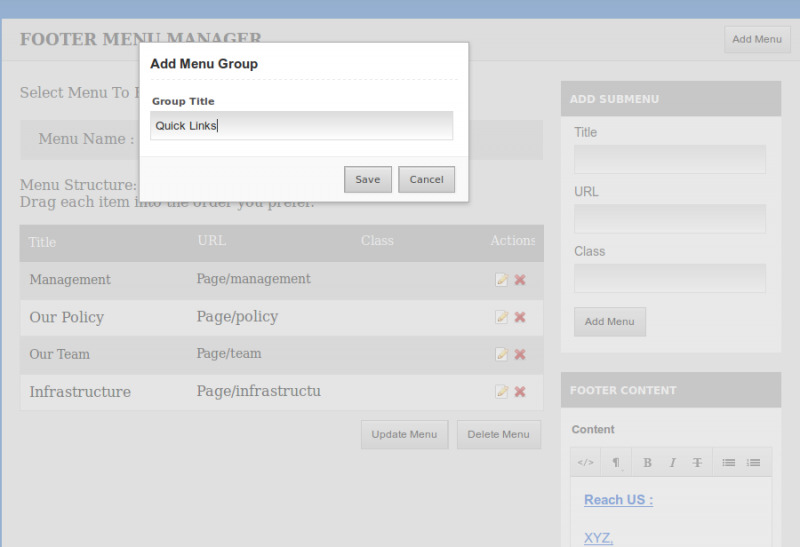 Add Link Name and URL for Menus. 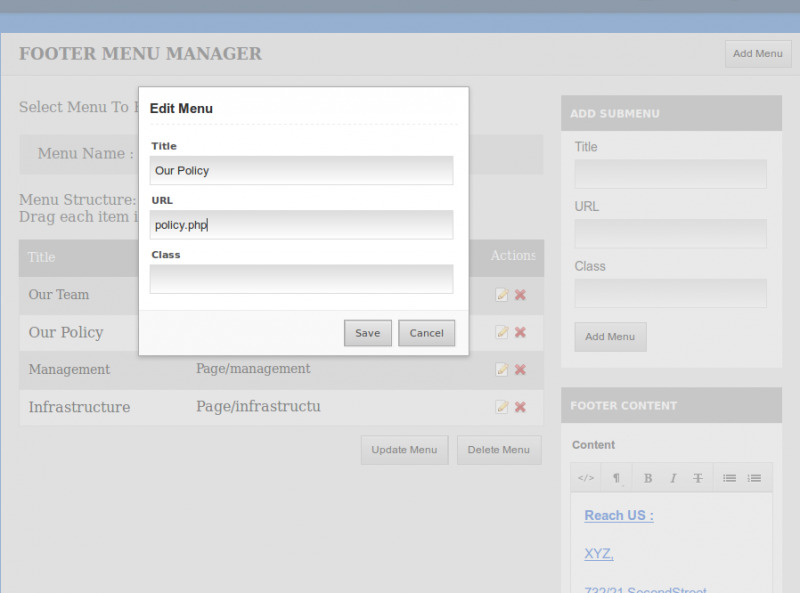 Menu Sorting option is available. Author helped with the installation.